New music to start the morning! 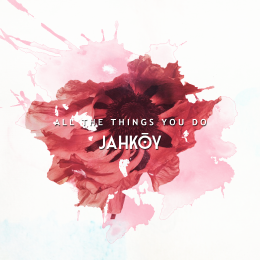 Singer Jahkoy has released a new record called "All The Things You Do!" Blending smooth R&B-reminiscent vocals with electronic music, the singer opens up about how he's been thinking about his significant other and what makes that person special to him in his life. "All The Things You Do" is definitely a hit that I think you all will love! The catchy track will be on his upcoming EP, Temptations, so be on the lookout! You can connect with Jahkoy on Facebook and Twitter and hear more of his music on SoundCloud!